MWC offers weekly instruction Monday – Saturday. Lessons come in several formats: private, partner and small group. 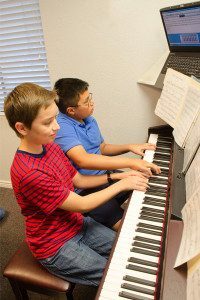 Private Lessons: Lesson length is flexible, ranging from 20-minute to 60-minute weekly lesson blocks. 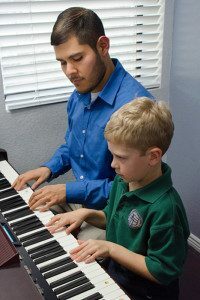 Full partnership – both students are with the instructor the entire lesson. Lesson length can be 40 or 60 minutes. Partner Overlap or 20/20/20 – each student has a 20-minute private teacher time and a 20-minute partner/teacher time. In addition, a 30-minute or 40-minute private time can be scheduled in conjunction with the 20-minute partner time. 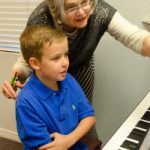 In this 60-minute small-group class (3 – 4 adults), adult students not only learn how to play the piano but also how to parent the piano student! 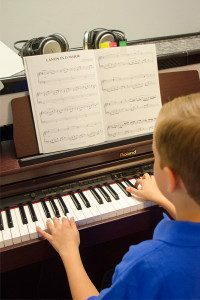 These classes can guide parents in developing strategies with home practice while developing their own piano skills. Who should join a class? Parents who say “I wish my mom/dad didn’t let me quit”, i.e. those returning to lessons after a long hiatus. Parents who ‘used to play pretty good”. 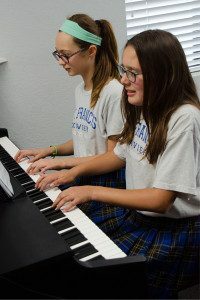 For those adults who are more adept, classes can assist in learning duets with their students, understanding the music literacy process at MWA with Guide Notes and Transposition, learn ‘the song’ they’ve always wanted to play, and brush up on skills.